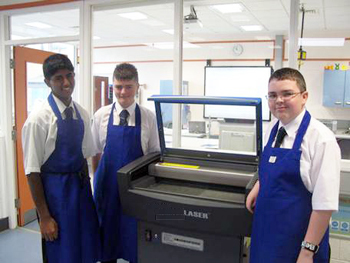 Your school's laser cutters and engravers are high value items so it pays to look after them. With regular servicing, you can extend the life of your equipment ensuring peak performance with the minimum of downtime. TLM Laser has considerable experience in the education sector. As dedicated UK-based laser specialists, we provide a maintenance and service programme for school Design and Technology Departments that is second to none. At prices that start at just £200, our service visits are among the most competitive around. The only additional cost is a mileage charge of 0.45p a mile from the regional TLM Laser base closest to your school. Our component prices are also extremely price conscious. For instance, a replacement 2'' focal optic will cost just £150.00, a 1'' gold plated turning mirror £100. We operate within the strictest safety and legal guidelines. Our services are covered by full public, product and employers’ liability insurance. We have fixed corporate policies with regard to quality, the environment and safety – copies available on request. In addition, prior to our engineer visiting your school, we will issue a risk assessment and a method statement. With TLM Laser, you can benefit from the lowest of prices along with complete peace of mind. Looking after your DT Department lasers is just one aspect of TLM Laser’s service. During a visit, our engineers can also service any extractor units, resolve problem files and provide operator training. We also offer a highly competitive CO2 Laser Refill Service and can refill and/or repair most CO2 Laser tubes. To book your school's next laser service and take advantage of probably the lowest prices around, just call John McCafferty on +44 (0) 1527 959 099.